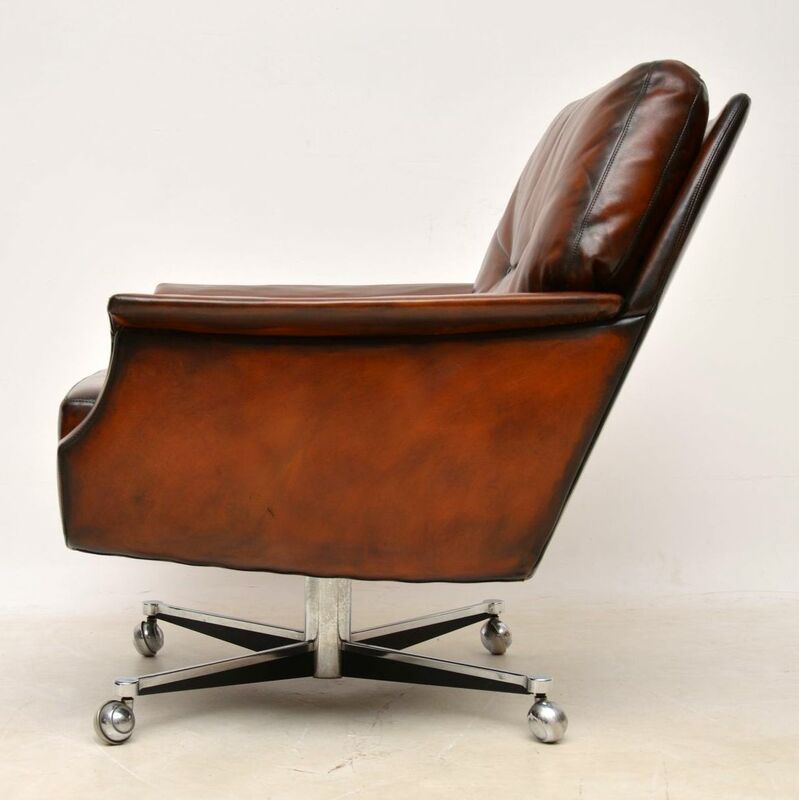 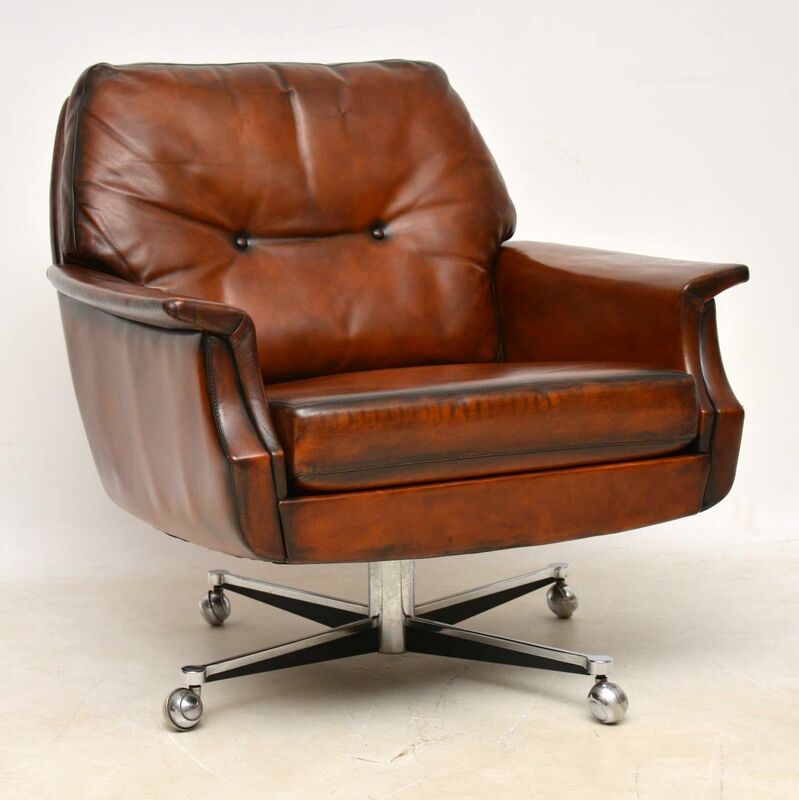 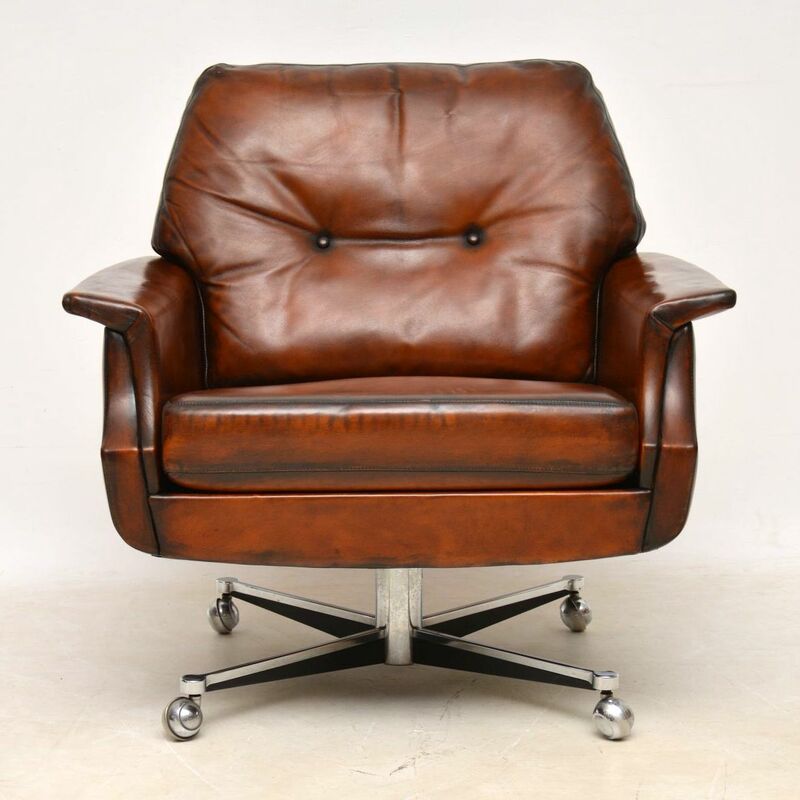 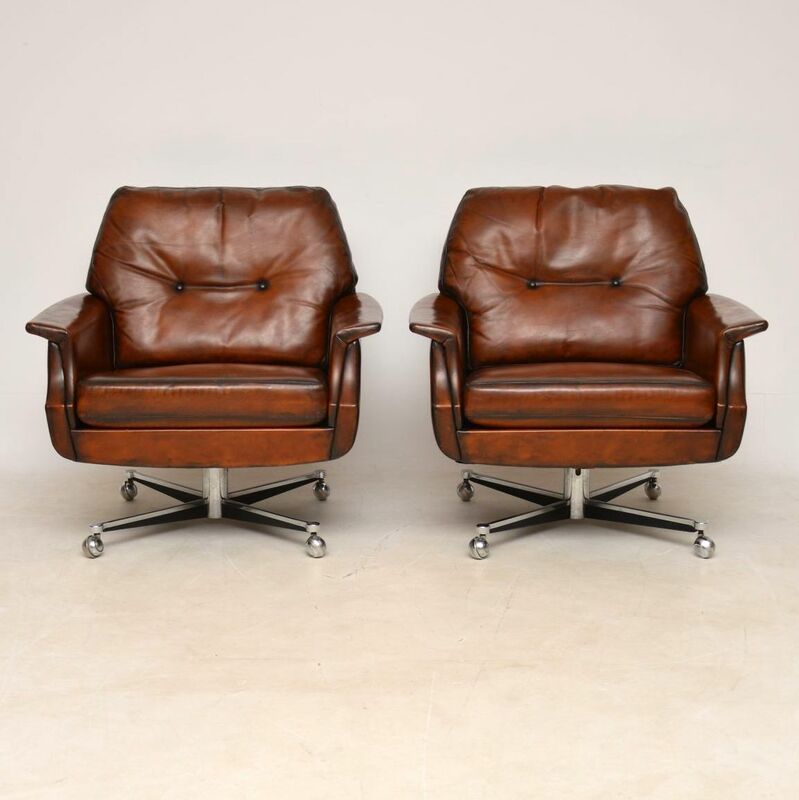 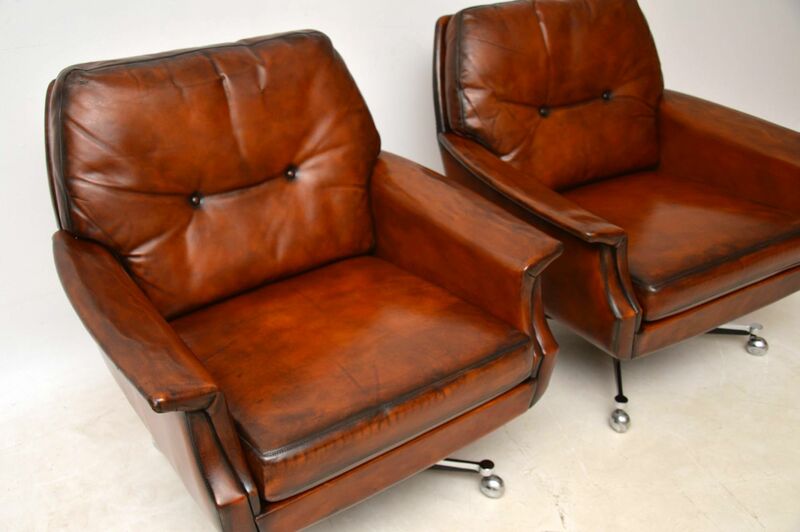 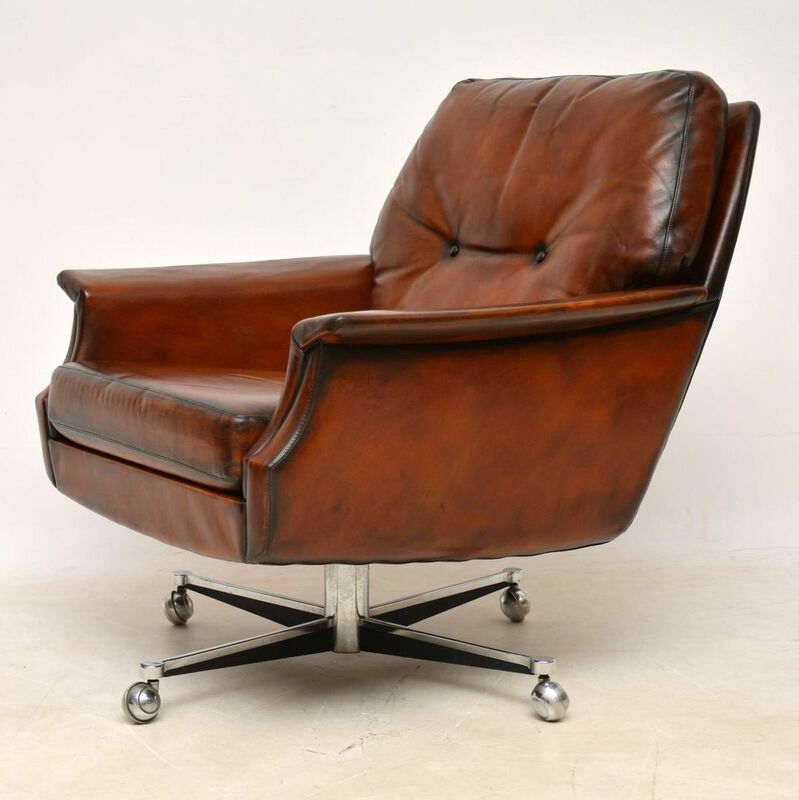 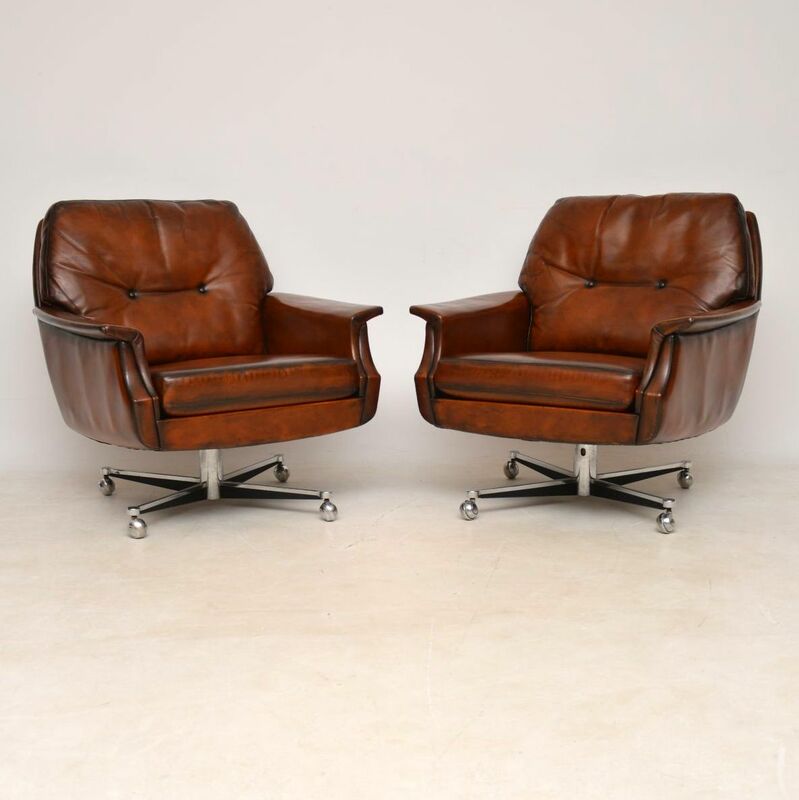 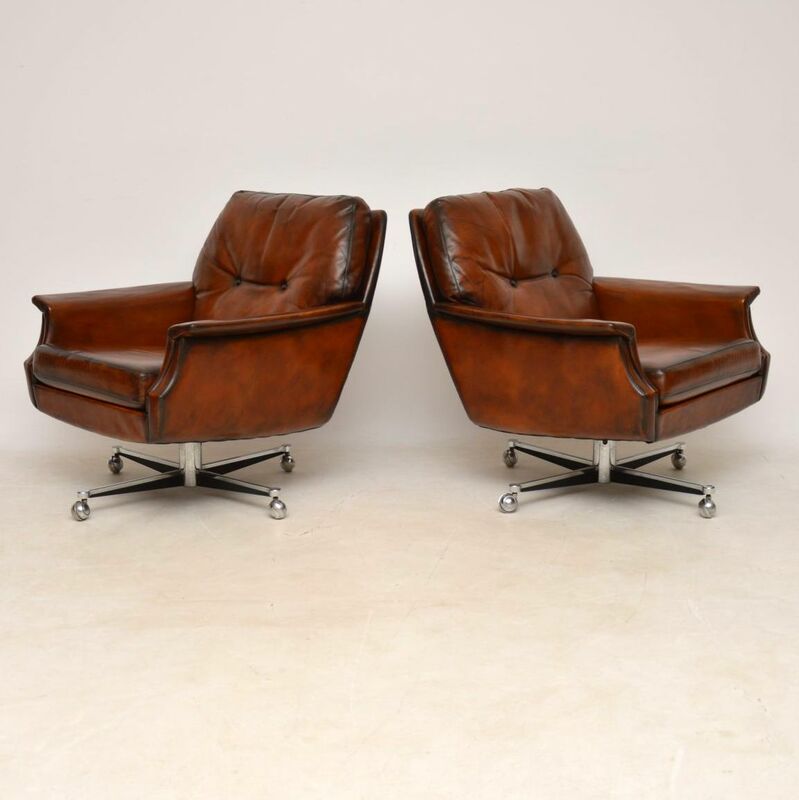 A beautiful and extremely comfortable pair of vintage leather swivel armchairs, sitting on splayed chrome bases. They date from the 1960-70’s, these are of amazing quality and are in superb condition for their age. 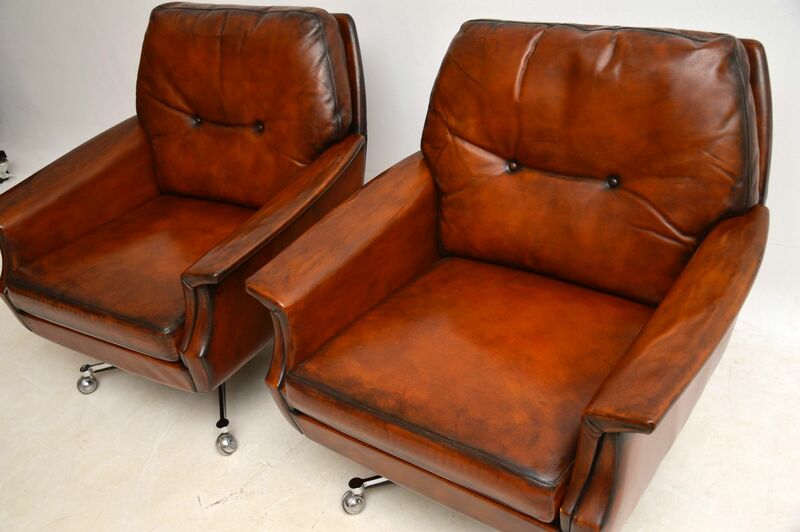 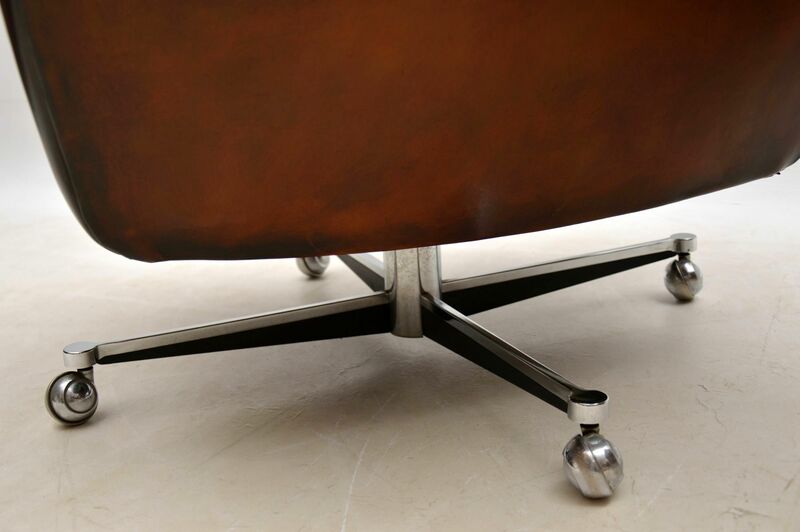 We have had these professionally re-coloured to a stunning rich brown tone, the leather has no rips or tears.